Hyundai will be launch the Creta Anniversary Edition in India by mid-2016. This information was revealed by Puneet Anand, general manager marketing and group head, Hyundai Motor India Ltd during an interview with GaadiWaadi.com. 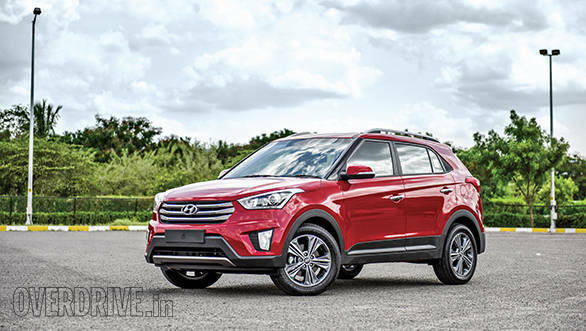 The Hyundai Creta Anniversary Edition is unlikely to receive any mechanical updates. It is likely to get exterior styling updates and some additional features. In terms of cosmetic updates, the Creta Anniversary Edition is likely to get similar bits as the Elite i20 celebration edition which received body graphics and a contrasting color for the roof. On the inside, it is likely to get special seat covers and floor mats, illuminated door sills and even aluminum pedals. Hyundai could even offer a car refrigerator as standard. The Hyundai Creta Anniversary Edition is unlikely to get any mechanical updates. The regular Creta is offered to buyers with the option of a 1.4-litre diesel, a 1.6-litre diesel and a 1.6-litre petrol engine. All three engines get mated to a 6-speed manual transmission. Only the 1.6-litre diesel is offered with the option of a 6-speed automatic gearbox. It is not yet clear if the Creta Anniversary Edition will be offered on all three engine variants. As the name suggests, the Creta Anniversary Edition will be introduced to celebrate the models first anniversary in India. Since its launch in July 2015, the Hyundai Creta has received over 1 lakh bookings. It is expected to cost around Rs 30,000 more than regular versions.